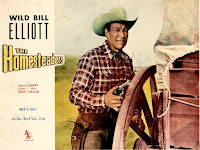 THE HOMESTEADERS (1953) is a solid Bill Elliott film which is part of a Wild Bill Elliott Western Double Feature, available from the Warner Archive. The other film in the set, FARGO (1952), is the stronger of the pair, but THE HOMESTEADERS had quite a bit going for it as well. THE HOMESTEADERS seems to foreshadow VIOLENT ROAD (1958), but instead of transporting highly volatile explosives by truck, it's done by covered wagon -- through hostile Indian territory! Mace Corbin (Elliott) wants to get the dynamite to Oregon homesteaders who desperately need it to blast rocks out of their farmland and to open up a passage to good grazing territory. Dynamite is hard to come by after the Civil War, and Kroger (James Seay) persuades Mace's broke farmer friend Clyde (Robert Lowery) to sell Mace out and double-cross him by giving Kroger the dynamite once it arrives. How Clyde thought that would ever possibly work out with him alive to spend the money he'd get is beyond me. One of the movie's only drawbacks for me is that there wasn't a leading lady to brighten things up, but it's such a spare 62 minutes I suppose there wasn't any room for Elliott to have a wife or sweetheart. The other main flaw was some of the soldiers were complaining about rules which were meant to keep them alive. They really wanted to smoke or get drunk around highly volatile dynamite and be blown to bits?! Boy, that Clyde is sure unreasonable trying to keep that from happening. 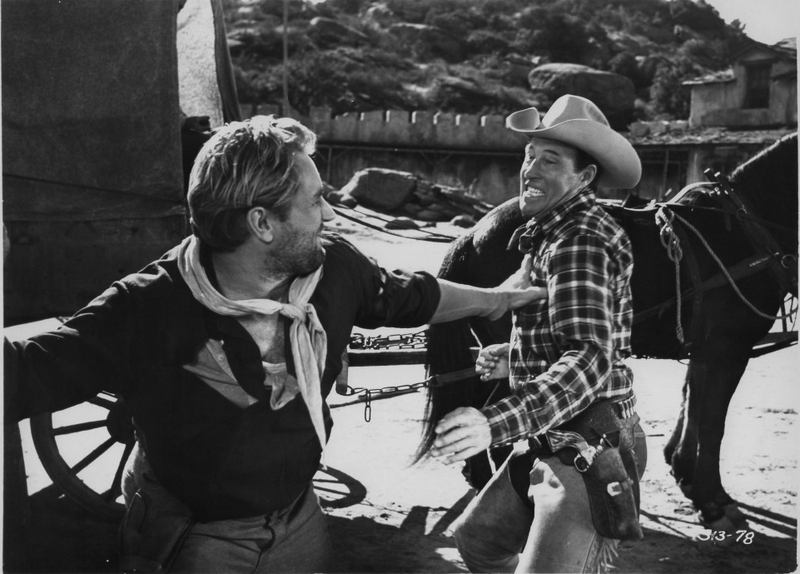 Otherwise, the film moves along briskly, with a lot of action while managing not to feel like a "B" Western version of THE PERILS OF PAULINE. The events flow naturally, and the running time was just right. I also liked the resolution of the problems between Mace and Clyde. One of the film's strengths is a distinctive score by Raoul Krashaar (COPPER SKY), which adds quite a bit to the film's mood. THE HOMESTEADERS is a Silvermine Production distributed by Allied Artists. It was directed by Lewis D. Collins and filmed by Ernest Miller. 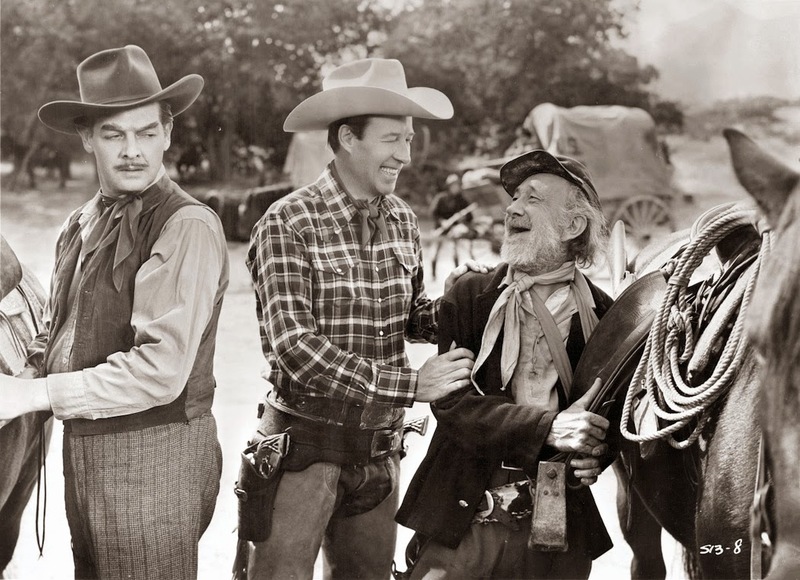 The film was shot at various Southern California locations including Iverson Ranch, Corriganville, and Lasky Mesa. 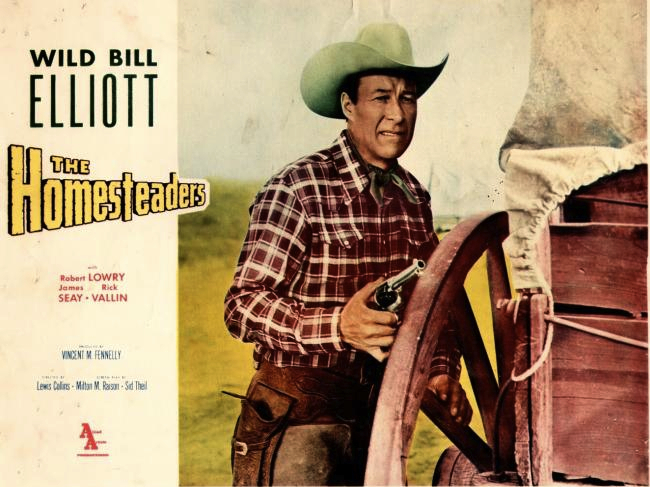 The supporting cast includes Emmett Lynn, George Wallace, Rick Vallin, Buzz Henry, Stanley Price, William Fawcett, and Barbara Woodell. Woodell seems to have cornered the market on playing beaten-down pioneer or outlaw wives in '50s "B" Westerns. THE HOMESTEADERS, like FARGO, is a good print. There are no extras. 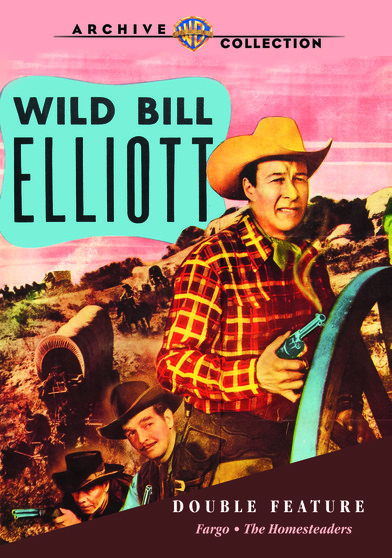 I enjoyed my first two Wild Bill Elliott movies, and this is a nice little set for fans of the actor and "B" Westerns. I thought Fargo far stronger in all departments, other than performances. In that respect both are fine. Elliott's more ambitious A's are worthwhile, especially in my view, Wyoming, teaming him with John Carroll, Virginia Grey, Albert Dekker and a not at all inadequate, Vera Ralston. I have always seen it as similar to Shane, but from the opposite point of view. Appears to be only available on the dealer-to-dealer market, but perhaps in the near future, re-mastered for the rest of us. I am definitely interested to try more -- costars like Carroll and Grey in particular are a real plus for me. I'll make note to keep watch for WYOMING.